Monday, 27 August, 2018 | Supplied by: Taiwan Stanch Co. Ltd. Traditional hot/cold packs are made from gel, but Taiwan Stanch has developed an environmentally friendly, re-usable alternative made from thermal clay. Sourced from southern Taiwan, the natural clay is sealed in a polyester and PVC washable casing that has a double layer to prevent leaking. Heated in the microwave for just 1 min, the pack retains its heat for up to half an hour. Alternatively, it can be placed in a freezer and will retain its malleable form, making it easy to wrap around a limb. Taiwan Stanch is family owned and has been in business for over 40 years. Selling its products globally, the company also offers OEM and ODM projects (subject to minimum quantities). 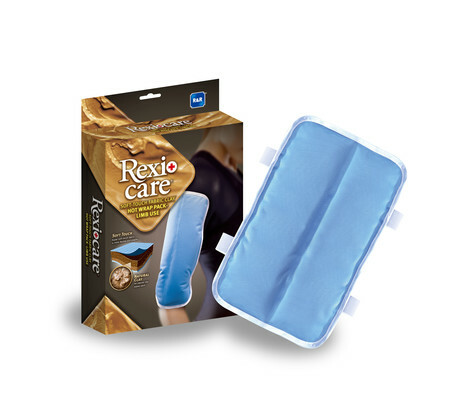 It manufactures a wide range of medical and rehabilitation products with CE, ISO13485/9001 and REACH certificates. Online: Taiwan Stanch Co. Ltd. I am interested in Rexi Care Soft-Touch Fabric Clay Hot Wrap Pack .